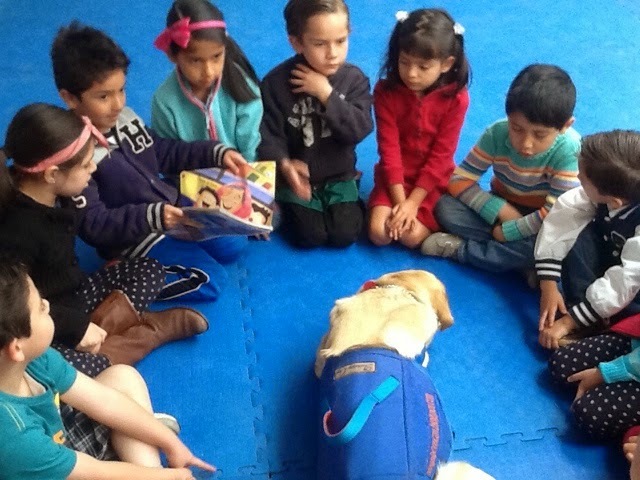 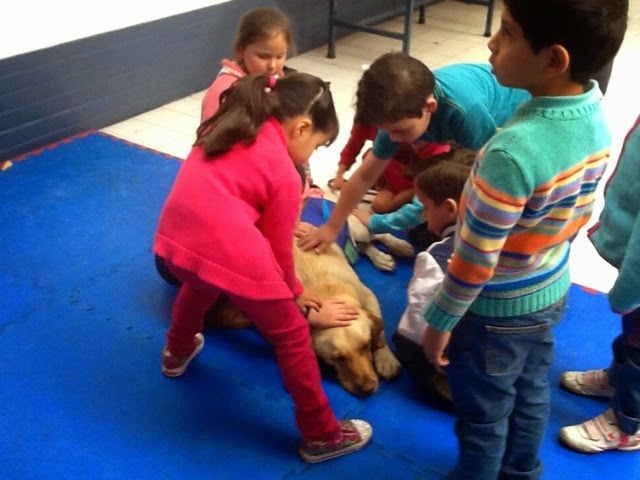 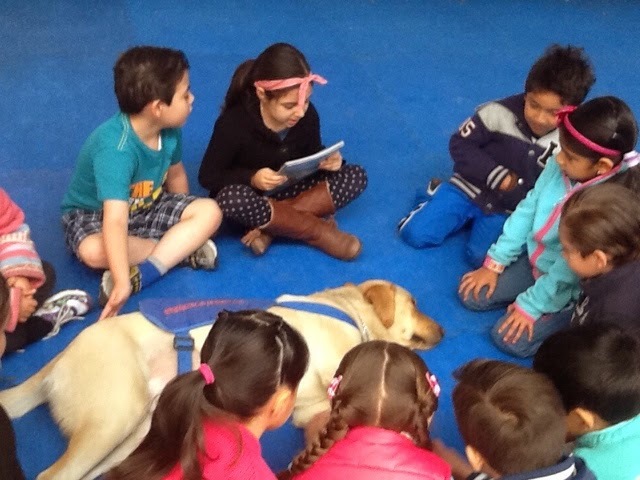 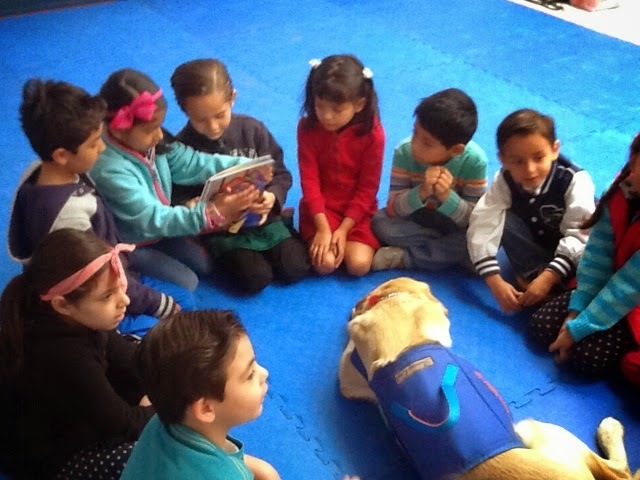 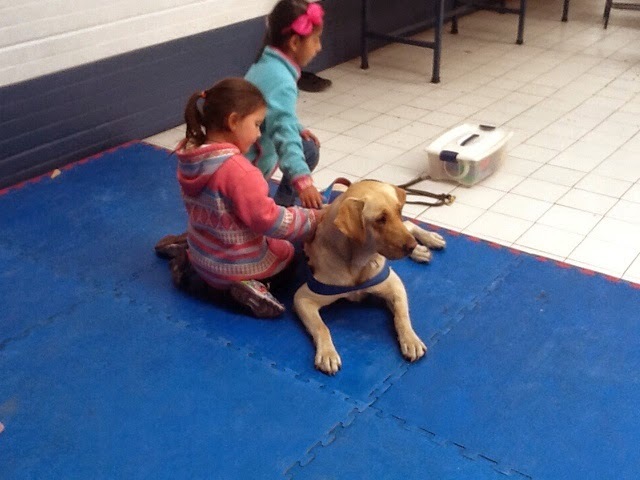 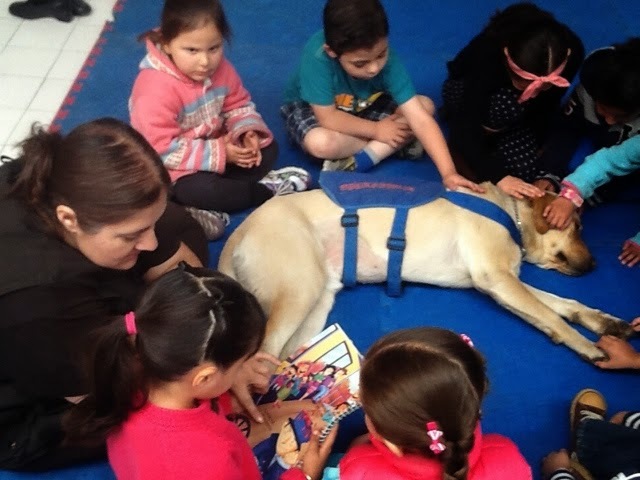 Grandin is a Labrador dog that is trained to listen to children when they are reading. 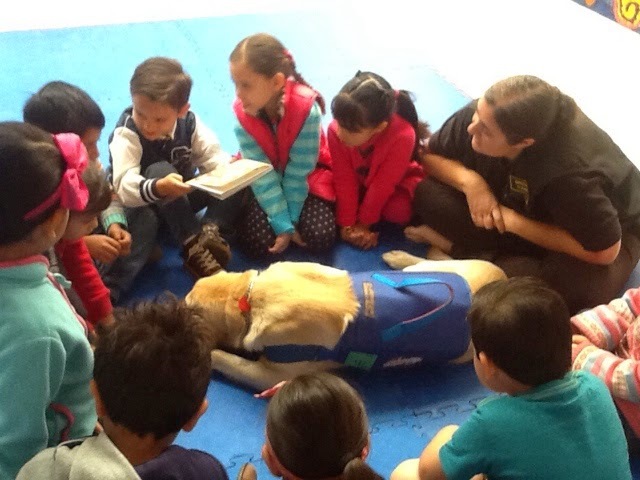 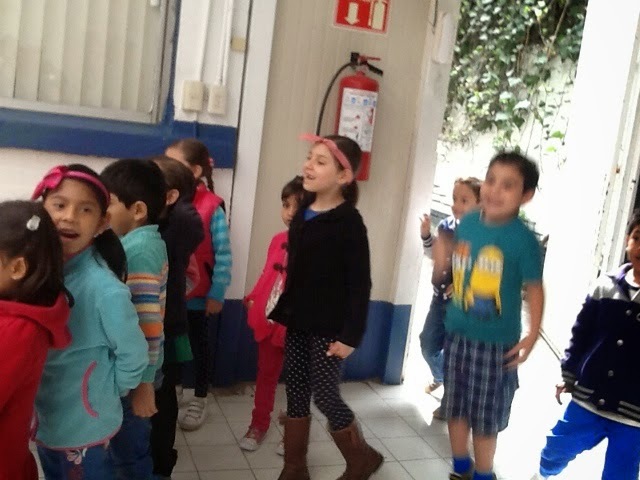 The kids read and they are happy. 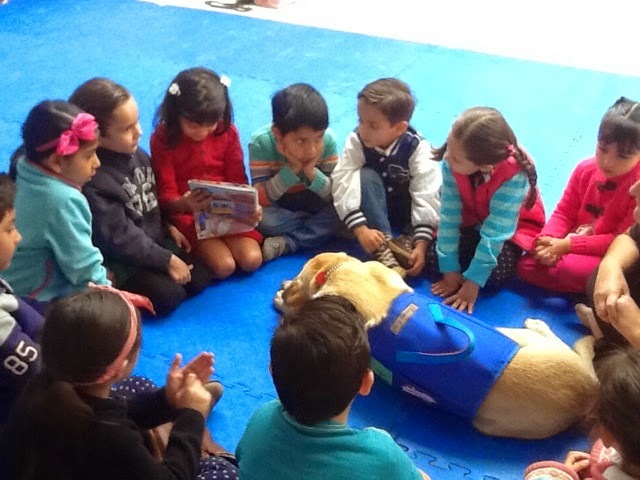 They feel proud because they are reading to a friend.